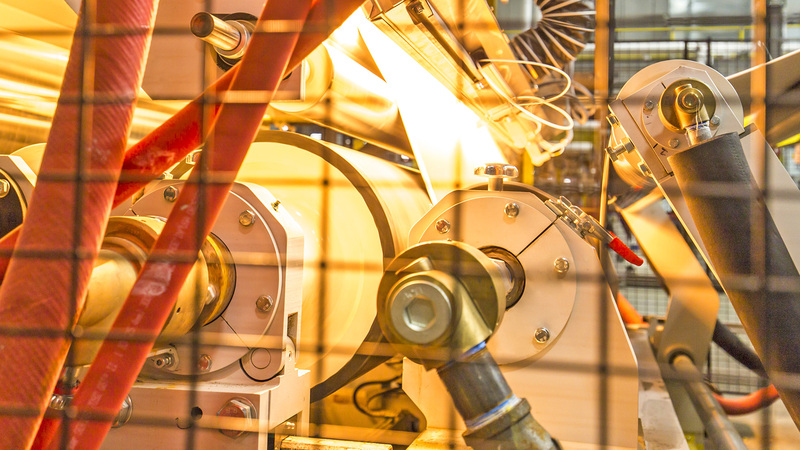 KKA Embossing plants combine long-standing experience in embossing technology with efficient heat transfer processes and modern drive concepts. Excellent embossing effects, in particular when embossing ABS, PVC, TPO (PE, PP, EVA, CPE) PMMA, PET or EPDM can be achieved. 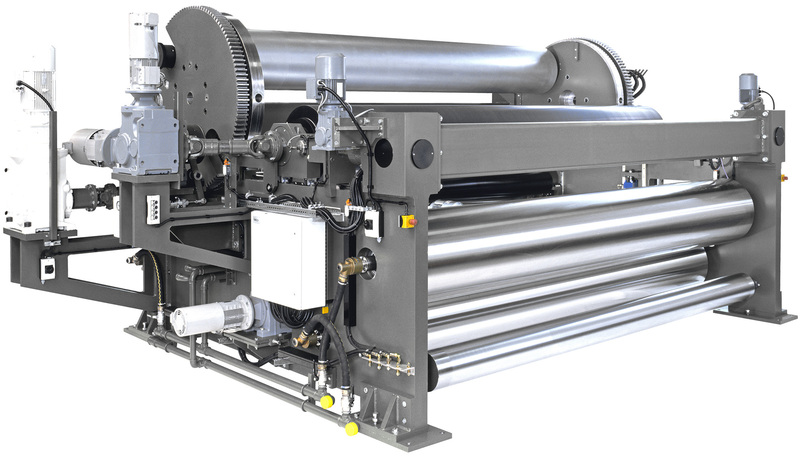 Process technology and operation - A well-tuned system of heating cylinders, roller bridges with infrared radiators, temperature control and cooling zones enables continuous temperature control of the web to prepare the embossing process. The hereby heated web is profiled in the nip between an engraved steel roller and a rubber coated counter roll. In subsequent cooling zones, the material is cooled down so far that the embossing pattern remains permanently stable after it leaves the embossing unit. Discover the KKA Embossing variations.